Liberty striding toward the Sun is a great lucky symbol for a business professional making strides in his career! 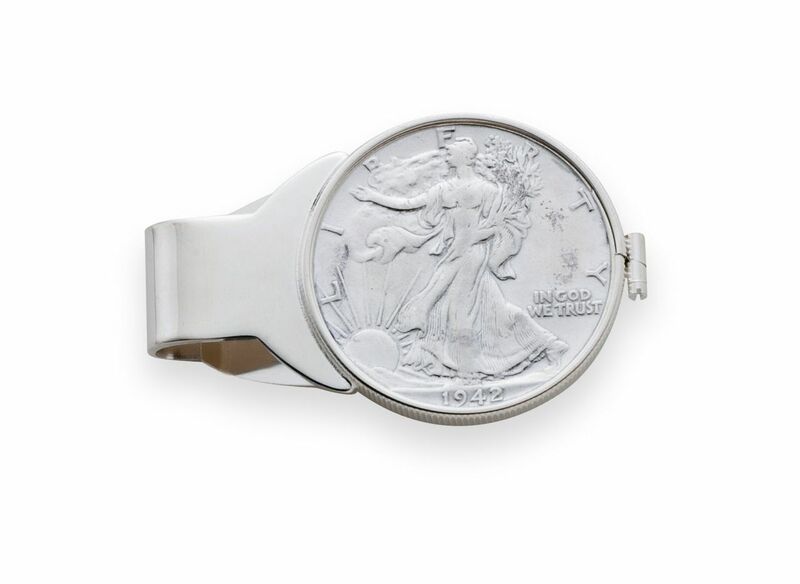 This popular silver coin is inlaid in a coin ring attached to a highly polished sterling silver money clip. He will love the easy French-fold style that lays flat in the pocket and grips up to 20 folded bills. 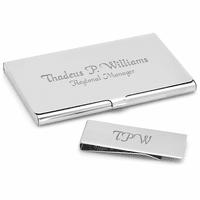 Add custom engraving for a unique and personal touch that he will be proud to take out and display when he pays the bill! 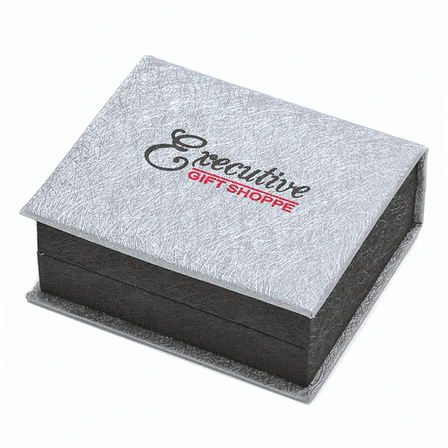 The money clip comes packaged in a jewelry gift box! 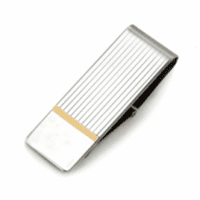 Dimensions: 2 1/4" x 1 1/4"
When the retaining clasp snaps off, and it will who does the repair? It has a lifetime warranty so you could send it back to us for repair or replacement. This item should be back in stock within the next week. As soon as it is in stock, it will be available to order and you can choose Next Day Air as your shipping method. We are not aware of another vendor that carries this item. Where does the engraving go? Front or back? And how many letters can I use? 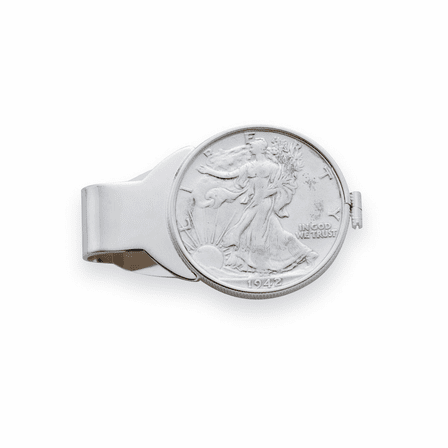 The Genuine Liberty Half Dollar Sterling Silver Engravable Money Clip is engraved on the front. If you click on the personalization option, you can enter the engraving here. The engraving is done on one line. There is no set limit for the engraving, it depends on the size you make it and the font you choose. When you hit preview personalization and the engraving you requested is not all shown, it is either too much to fit or you have made the font too big. Is it possible to by the clip only? I have the silver dollar. 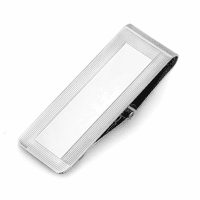 No, I'm sorry, this only comes as is with the coin and the money clip attached.